This unique VCO consists of an ultrasonic oscillator core followed by a parallel pair of waveform generators. 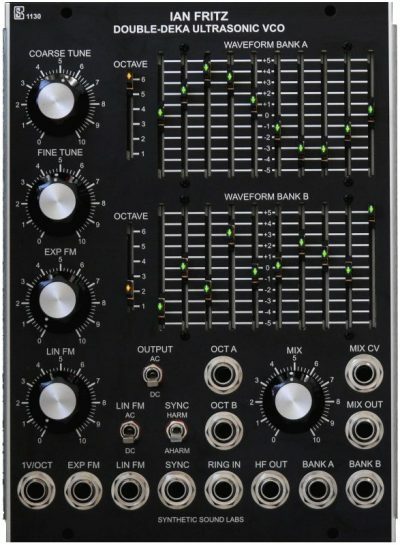 Each waveform generator consists of a voltage controlled multi-octave divider, followed by circuitry to generate a 10-step waveform using a set of 10 slider potentiometers. 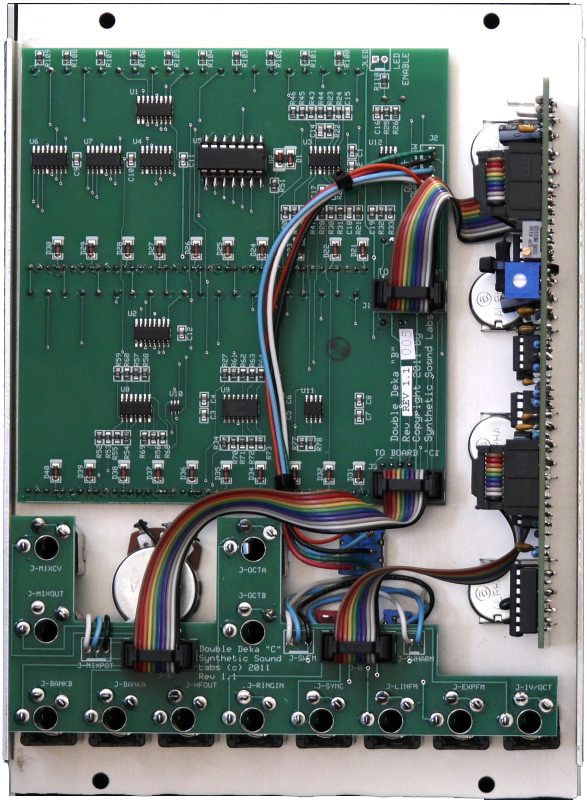 Also included are a novel synchronization circuit with two different operating modes and a built-in “digital ring modulator” (DRM) for producing a wide variety of synchronized and anharmonic sounds. 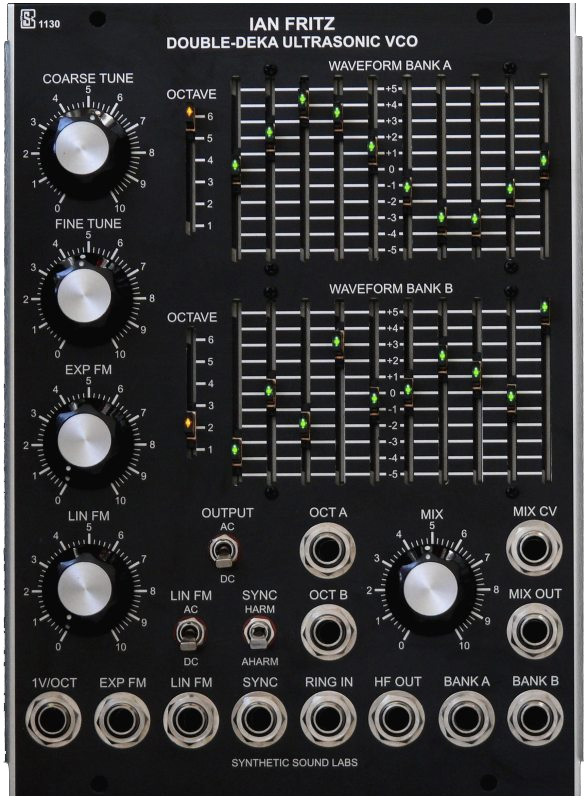 The oscillator core is highly stable (better than 20 ppm/K ) and features wide-range, accurate tracking (better than 0.05% over fifteen octaves). The variable waveform generator provides fine control over an enormous range of available timbres. 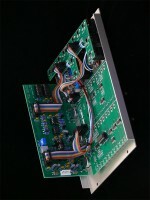 The high frequency output of the “core” oscillator is provided for use in driving other frequency dividers. Waveforms: +/- 5V, 10V P-P.
HF Out: 0 to +5V. ~1 Microsecond positive pulse. +15V at 50ma, -15V at 52ma, +5V at 20ma, Synthesizers.com 6 pin Molex standard. Width - Three Moog Units (MU) - 6.75"